What is the one ingredient you can add to any dish to make it infinitely better? The obvious answer is truffles. Whether shaved truffle or just the oil, this deliciously sublime ingredient contributes a unique taste by infusing its odor and flavor into culinary delights. All other ingredients come second to the overpowering taste of truffle. Even the slightest hint of it will take your taste buds to foodie wonderland. Although previously seen mainly at higher-end restaurants, truffle -infused dishes have started to appear everywhere, including food trucks. Boston is not behind on the truffle craze. There are some amazing truffle dishes in restaurants around Boston. Below is a list of some of the best of the best. If you're already a truffle-lover or have never tried a truffle dish, definitely join in on this luxurious and delicious trend. 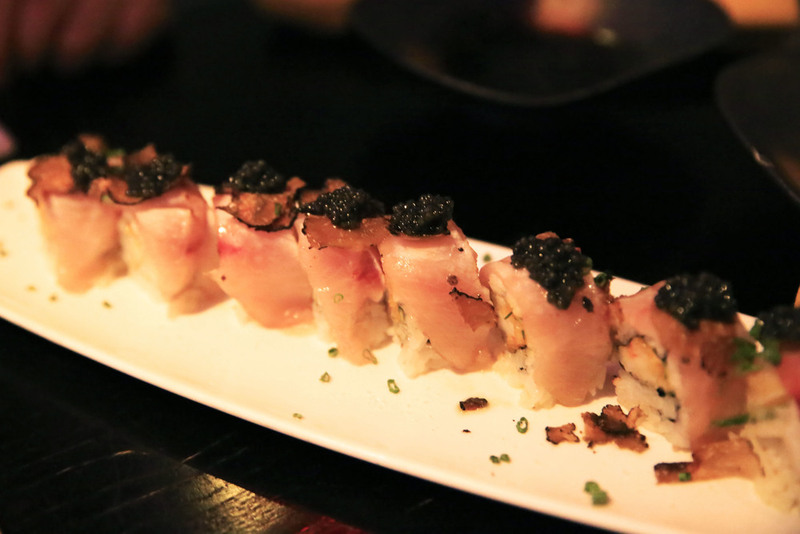 The Hamachi or Toro Truffle Maki at Oishii in the South End couldn't be cut from this list. Who would've thought of truffle in sushi? The geniuses at Oishii's sushi bar did and they came up with this interesting take on a roll. It consists of shrimp tempura, spicy mayo, and cucumber covered with seared hamachi or seared toro then topped with delicate white truffle flakes and sturgeon caviar. The combination of truffle flakes and the crunchiness from the shrimp tempura make this roll unique and insanely delicious. Adding truffle to pasta is one of the most popular ways to incorporate the ingredient. 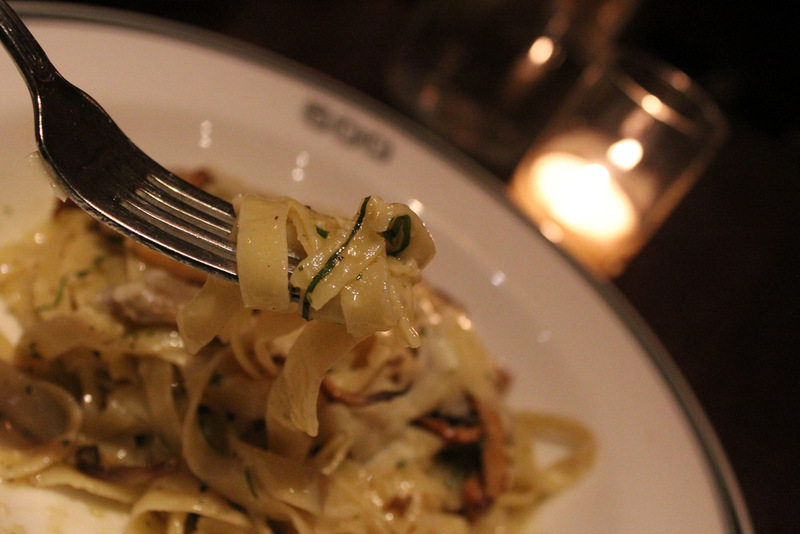 Indeed, there is nothing better than a truffle pasta dish. 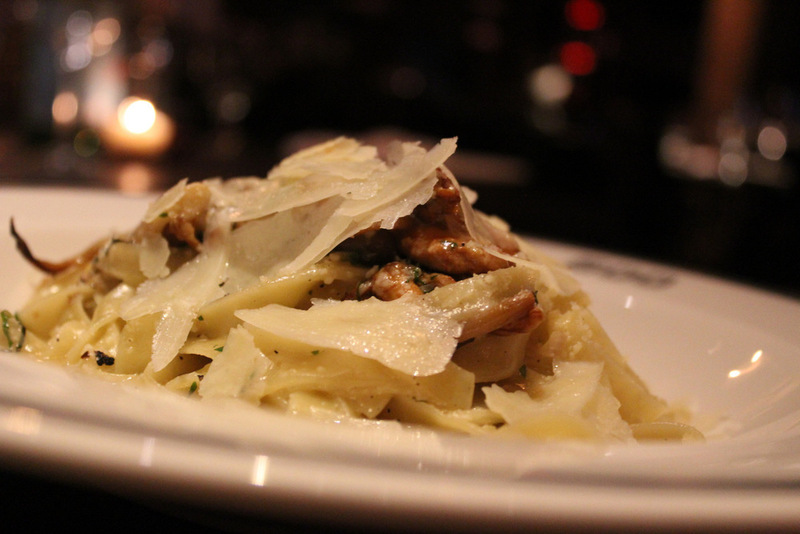 The Fettuccine al Funghi e Tartufi from Cinque Cento is another mouth-watering addition to this list. The perfectly cooked pasta alongside foraged mushrooms, truffle butter and basil make for a dish that is impossible leave any bit behind. The combination of truffle and fat (butter) is a match made in heaven. Ask your server for some freshly shaved pecorino on top to make this dish even more delectable. Another great pasta dish with a homestyle twist is the Mac and Cheese from The Regal Beagle in Coolidge Corner. Made with a Ritz cracker crust and truffle oil, this savory dish brings a new twist to American comfort food. The best part? You have the option to add wild mushrooms or braised short ribs. Available for brunch as well, this meal is not to be missed. The Beehive's Truffled Potato and Cheese Pierogies is truly an amazing appetizer. Truffle is a great addition to this typical, Polish dish. For those of you that have never heard of Pierogies, they are basically boiled dumplings fried in butter with onions. After the first bite into the flakey, truffle infused dough, you may be tempted to cancel your main course and order another plate of these instead. The award for best dish on this list goes to Fig's Portobello Pizza. 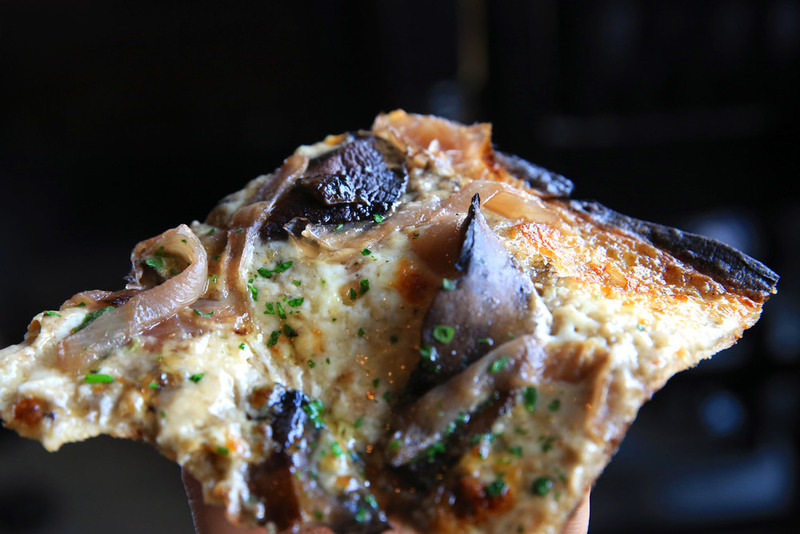 The portobello, wild mushroom purée, red onion, and truffle oil pie creates an unforgettable pizza experience. The pizza is cooked to perfection, the crust is perfectly crispy and burnt, and the gooey texture of the fontina adds the perfect touch. There is no better combination than truffle, mushrooms and cheese. You will be coming back for more. Up next on the truffle hunt in Boston is the Beef Tenderloin, Mashed Potato, and White Truffle Oil Pizza at Mistral. It is basically a home-cooked meal on a pizza. Now that sounds like an exciting truffle adventure.